A cuddly, honey coloured teddy bear is always a great gift. And it’s even better when you can choose you own picture on the teddy’s t-shirt. 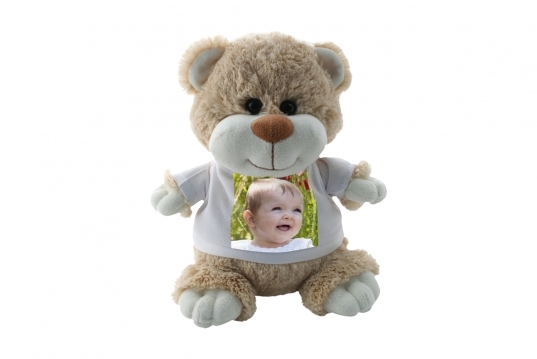 Our bears are 10 inches tall, CE safety tested and 1 white T-shirt with your chosen picture ready printed.